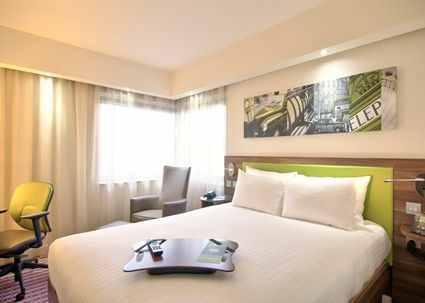 Located at the exit of the Great Ring Road, you’ll find Hampton by Hilton Rome East. Feel a sense of peace and calm in the lush, green, sustainable environment surrounding the hotel. Spend the day shopping at the nearby outlets, touring a famous Italian attraction or visiting the second largest university in Rome, all just minutes from the hotel. 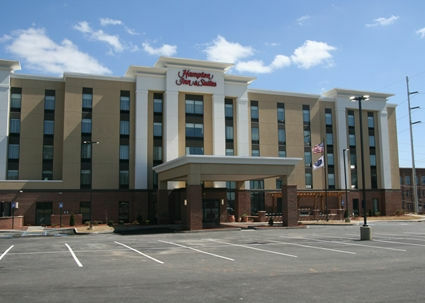 Free WiFi, comfy beds and a free hot breakfast are just some of the amenities offered to help you enjoy your stay. Grab a snack, drink or travel essential at our 24-hour snack hub. Keep up your fitness routine in our modern Hampton by Hilton Fitness Room. Plan your event in the small boardroom with plenty of natural light and space for up to ten. This space is ideal for a training event or small social gathering with outside catering options and equipment rentals available. 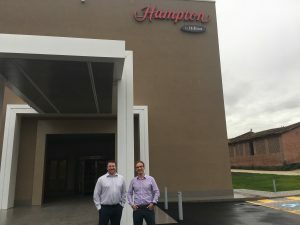 Fourteen IP are delighted to have provided Hampton by Hilton Rome East with Evolution Voice to power their communications. 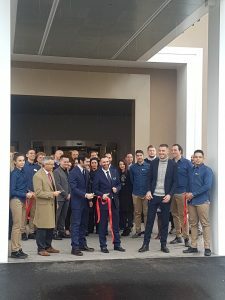 Fourteen IP are delighted to add the 148 room Hampton by Hilton Rome East to the ever growing Evolution Family. We look forward to working with the hotel for years to come helping them reduce costs and improve guest and associate communications along the way.